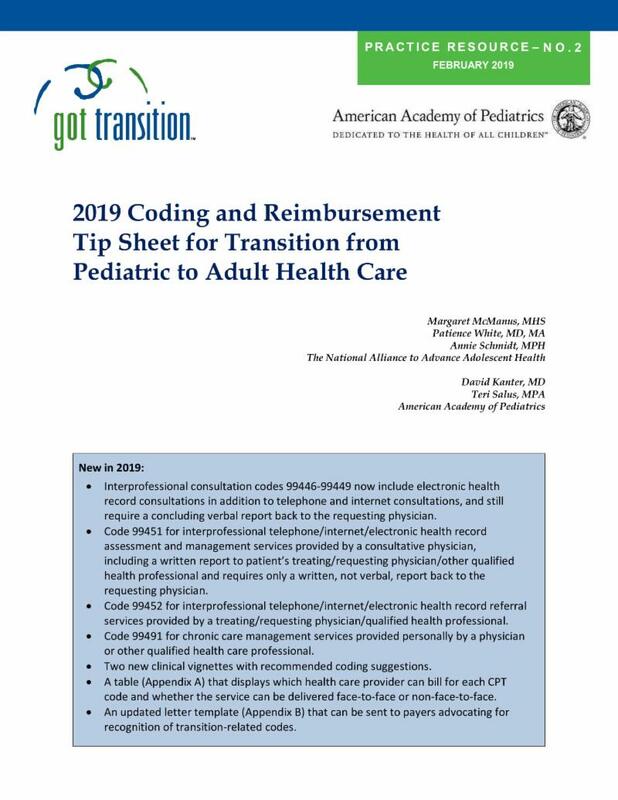 Got Transition TM and the American Academy of Pediatrics have released the new 2019 Transition Coding and Reimbursement Tip Sheet . This helpful new resource supports the delivery of recommended transition services in pediatric and adult primary and specialty care settings. 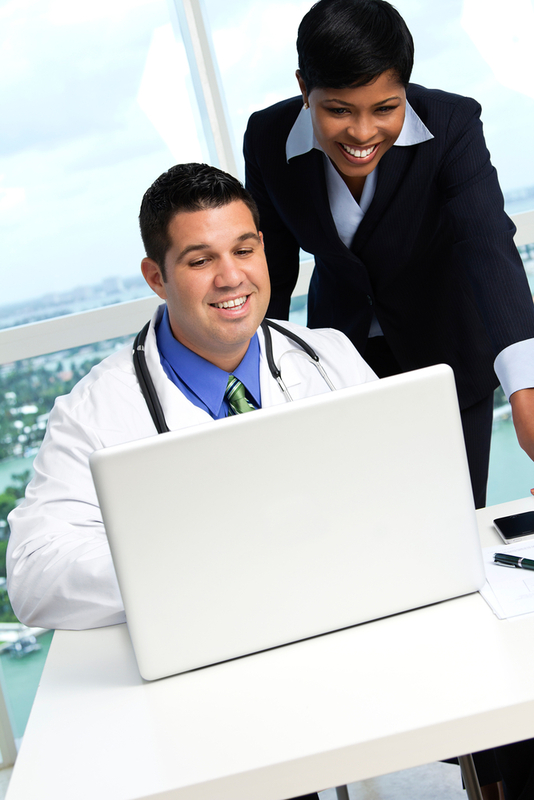 It includes an updated list of transition-related CPT codes, including new codes relating to chronic care management and interprofessional telephone/internet/electronic health record assessment and management services and referral service. It also includes current Medicare fees for each code, two new clinical vignettes with recommended coding suggestions, a table displaying what type of providers can bill for each code, whether the service is face-to-face or non-face-to-face, and an insurance carrier letter that can be customized for payers to encourage recognition of transition-related codes. Listen now to this brief 30-minute podcast to learn how key components from the newly-released health care transition clinical report can be practically applied within a clinical setting. The podcast features guidance from the pediatric, family medicine, and internal medicine perspectives (from the from the American Academy of Pediatrics, American Academy of Family Physicians, and the American College of Physicians) . It includes faculty who provide a general overview of the evidence related to health care transition, the clinician’s role, special considerations for youth and young adults with intellectual or developmental disabilities, and tips for implementing health care transition processes in practice. Calling all youth, young adults, families, researchers, government agencies, and health care clinicians (physicians, nurses, social workers, etc. ): Offer your feedback on the Six Core Elements of Health Care Transition today! Don 't forget to follow Got Transition on Facebook and Twitter !!! Got Transition TM is a program of The National Alliance to Advance Adolescent Health , supported by the Health Resources and Services Administration (HRSA) of the U.S. Department of Health and Human Services (HHS) (U1TMC31756). The contents are those of the author(s) and do not necessarily represent the official views of, nor an endorsement, by HRSA, HHS, or the U.S. Government.